The Reverdy family has been making wine in the village of Verdigny, a communed of Sancerre, for many generations; their viticulture roots could go back as far as 1600! At the end of World War II, patriach Hippolyte increased his production in order to supply the increasing demand from Paris. Hippolyte and his three sons began bottling small quantities under their own label, although the lion’s share of the grapes was still being sold off to the local cave coopérative. Michel joined his father and brothers in 1971, shortly after finishing high school and Kermit Lynch began working with the domaine for the first time in 1983. Tragedy struck the family shortly after, Michel`s father and two brother`s passed away. Michel gathered up his strength and took over the domaine; today he farms fourteen hectares of vineyards on his own and crafts soulful and delicious wines. 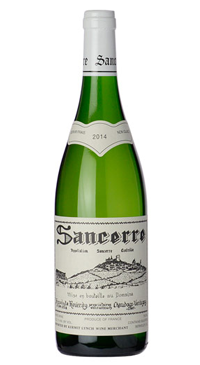 Produced from Sauvignon Blanc vines that grow on clay and kimmeridgian limestone soil. The grapes are pressed by pneumatic press immediately after harvest and the must settles for 36 hours; the clear juice is racked and fermented in temperature-controlled stainless steel cuves. The wine then rests for 2-3 months with periodic lees stirring to keep the lees suspended throughout the wine. The wine is bottled in the Spring.